Following an intrepid and most perilous quest deep into the heart of the Venezuelan rainforest, Hendrick’s Gin Master Distiller, Lesley Gracie, has created an extraordinary batch of special edition gin – Hendrick’s Kanaracuni. The fantastically absurd quest to find a remarkable and decidedly delectable botanical with which to create a new limited batch of gin, unearthed the rather exotic ‘Scorpion Tail’. 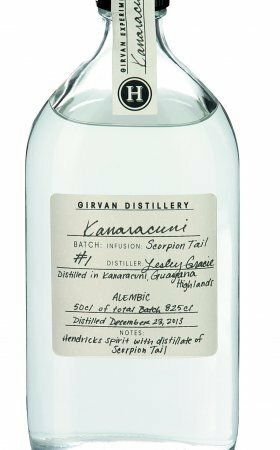 It is now a key ingredient of Hendrick’s Kanaracuni, which is named after the village where the expedition team were based during their two-week research trip. Hendrick’s is a delicious, super premium gin, created with a number of unusual twists that deliver a most curious arrangement. Unlike ordinary gins, Hendrick’s is handcrafted in small batches using a two still process to bath and steam the eleven constituent botanicals. Only Hendrick’s is made with infusions of cucumber and rose petals, producing a wonderfully refreshing gin with a delightfully floral aroma. Hendrick’s is the only gin made in a combination of a Carter-Head and copper pot still, creating a divinely smooth gin with both character and balance of subtle flavours.